I’d been lurking for while on Troy’s website, checking out his race calendar. 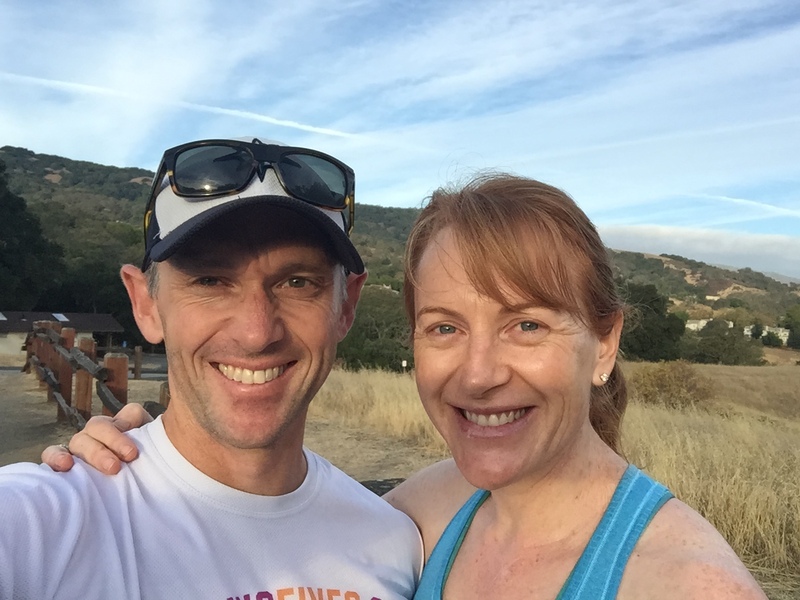 Today we dived in and tried his Annual Almaden Hills Run, and put Race #27 for the year in the history books. And what a great experience it was! If you love well-organized races, trail running, hills, small crowds, and a friendly vibe, this race checks all five. It starts and finishes just inside the beautiful Almaden Quicksilver park, and climbs the peaks to offer amazing views of the Silicon Valley. You’ve got the choice of the vaguely sensible (5k, 10k, 8 mile) or the slightly crazy (half marathon) or the completely bonkers (21 miles, 50k). Even the 5k offers 600ft of elevation gain in the first mile. 600 feet of elevation gain in the first mile. And that’s just the 5k! Troy told us at the start that the cutoff time for completing the race was eight hours, but he’d hang around for nine hours just in case. I’m not sure that I’d want to be out in the late August summer heat (it was mid-80s Fahrenheit today) for eight or nine hours and running 50k. But, hey, you’ve got to admire those who can do that. Anyway, getting back to reality, we wanted to run today and tomorrow, and I’m even contemplating a mid-week race in San Francisco to get this 52 race challenge back on track. So, 5k it was today for us. And that was plenty to be honest. I came third overall, and was the first man. I am not entirely sure there was a second man in the 5k race. Talk about girl power! Selina came fourth overall. We didn’t entirely cruise the race, but we certainly held something back given we want to race again tomorrow. I got a nice certificate, and headed on my way. Love Troy’s races after a sample of one. We’ll be back for more. See you for tomorrow’s report!